I just noticed over at the "Nation of Riflemen" that the BATF is imposing yet another restriction on gun enthusiasts. Apparently they are banning Ã‚Âany frames, receivers, or barrels for firearms that would be prohibited from importation if assembled.‚Â The problem here is that these parts are often identical in illegal and legal firearms. So if there is a fully auto or other illegal version of your perfectly legal firearm, you won't be able to get replacement/repair parts. And of course this may also make it impossible to import otherwise legal firearms which share the same parts as some illegal firearms. So now we get to sit back and watch the prices climb these rifles and their parts. 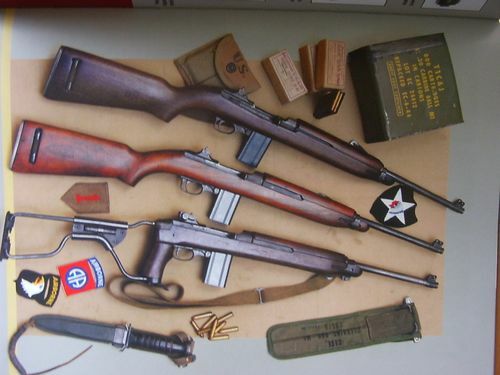 What really hurts is that this will impact the M1 Carbine, one of the wonderful old military rifles that I've been salivating over. At least the rifle isn't being banned outright, though that's still somewhat of a risk here in Illinois. Pardon me while I go work off a little frustration.